* Unlimited Golf*: reserve your first round when you book your lodging pacakage. Reserve subsequent daily rounds when your first round of the day is complete. * Access to the outdoor pool and hot tub for Hotel Jay, Tram Haus Lodge, and Stateside Hotel guests. * Unlimited access to the Hotel Jay Fitness Center for Hotel Jay, Tram Haus Lodge, and Stateside Hotel guests. 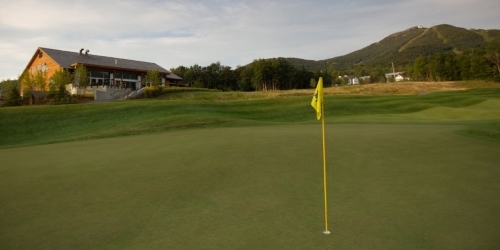 Jay Peak Championship Golf Course reserves the right to change price and offer at anytime. Prices and offer are subject to change without notice. GolfVermont.com is not responsible for errors posted in this golf package.